This raw dessert is so light and refreshing and totally nourishing for your body. The base is blended walnuts and dates, 1 cup each. Add some coconut flour to make a dough. Press into a pie dish. The filling is juice of 2 limes, grated lime rind, flesh of 2 young coconuts and half the water, blend and add organic sweetener to taste. I use a dash of coconut nectar. I also added a tablespoon of organic coconut yogurt. Blend till smooth. 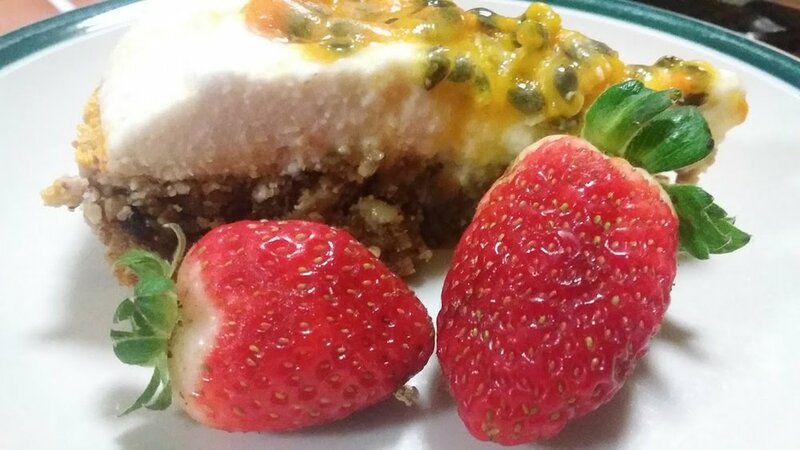 Ooze the filling onto the base and decorate with passionfruit and strawberries. Put in freezer to chill but not freeze. Enjoy with friends!